Attention everybody! Stop the presses! Horror Sommelier is becoming a monthly column rather than a weekly one, because SOMEone has trouble keeping up with Hollywood’s ravenous machine every seven days. Spoiler alert: That someone is me. Every month join Brennan Klein, your horror sommelier, as he runs through the upcoming theatrical releases and pairs them with the perfect horror film for a killer double feature. Synopsis: A family of four (John Krasinski, Emily Blunt, Millicent Simmons, Noah Jupe) must navigate their lives in silence after mysterious creatures that hunt by sound threaten their survival. If they hear you, they hunt you. This was maybe the easiest pick on the list. 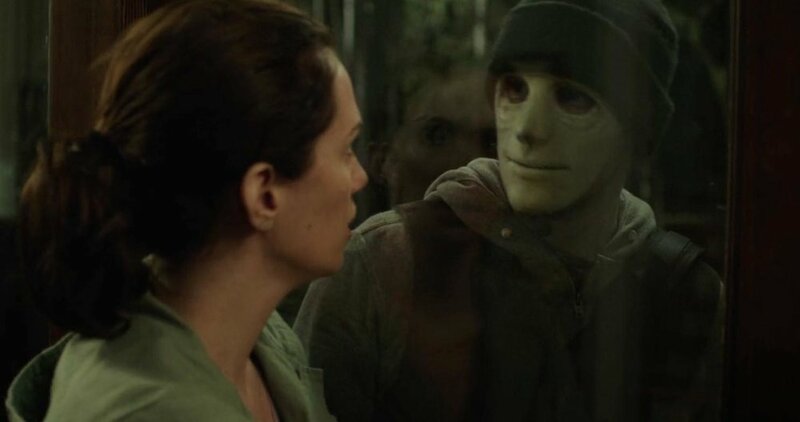 Although the concepts are fundamentally different (A Quiet Place seems to be a bona fide monster movie, whereas Hush is a stripped-down home invasion survival flick), they’re both Blumhouse films where silence in the sound design is going to be of utmost importance. 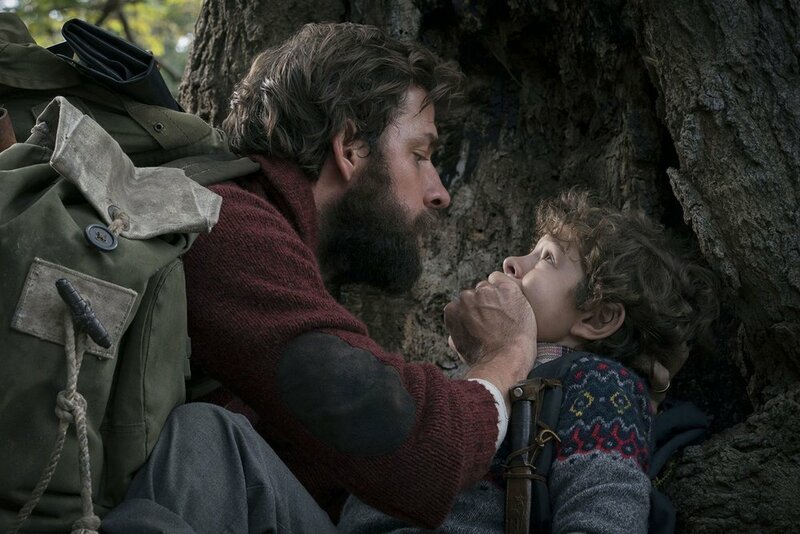 In Hush, this was used to create an eerie atmosphere and highlight the protagonist’s deafness, and I’m hoping Krasinski can use this element to an equally great effect as Mike Flanagan. Synopsis: Julie (Kathryn Newton), Kayla (Geraldine Viswanathan), and Sam (Gideon Adlon) are three high school seniors who make a pact to lose their virginity on prom night. Lisa (Leslie Mann), Mitchell (John Cena), and Hunter (Ike Barinholtz) are three overprotective parents who flip out when they find out about their daughters' plans. They soon join forces for a wild and chaotic quest to stop the girls from sealing the deal -- no matter what the cost. You’re talking parents who flip out when they realize their kids are going through puberty and a sexual awakening? Get in line behind Margaret White, John Cena. Brian De Palma’s Carrie is the ultimate story of repressed teenage hormones (in this case manifesting as a telekinetic abilities) and the twisted, devout parent (played by Piper Laurie) who is doing all that delightful repressing. Synopsis: Primatologist Davis Okoye (Dwayne Johnson) shares an unshakable bond with George, an extraordinarily intelligent, silverback gorilla that's been in his care since birth. When a rogue genetic experiment goes wrong, it causes George, a wolf and a reptile to grow to a monstrous size. As the mutated beasts embark on a path of destruction, Okoye teams up with discredited genetic engineer Dr. Kate Caldwell (Naomie Harris) and the military to secure an antidote and prevent a global catastrophe. There is no lack of giant animal films in 50’s sci-fi, but of all the nuclear mutant flicks Hollywood pumped out, Them! is certainly one of the best. 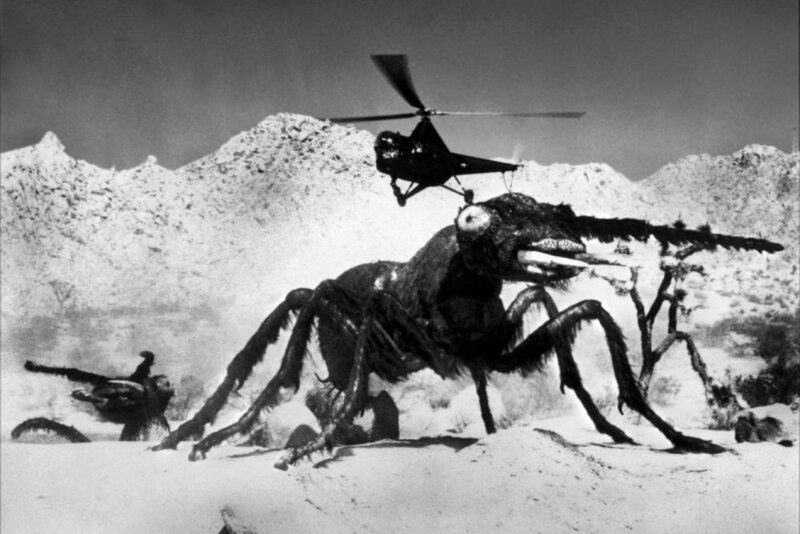 Who can resist a movie where giant ants roam the countryside devouring farmers? The effects still hold up pretty well, and pound for pound it’s got more fist-pumping, popcorn-chowing action than most of its peers. Synopsis: A seemingly harmless game of truth or dare turns deadly when someone -- or something -- begins to punish those who tell a lie or refuse a dare. Sleepover games have been a part of horror for as long as I can remember (Bloody Mary, anyone? 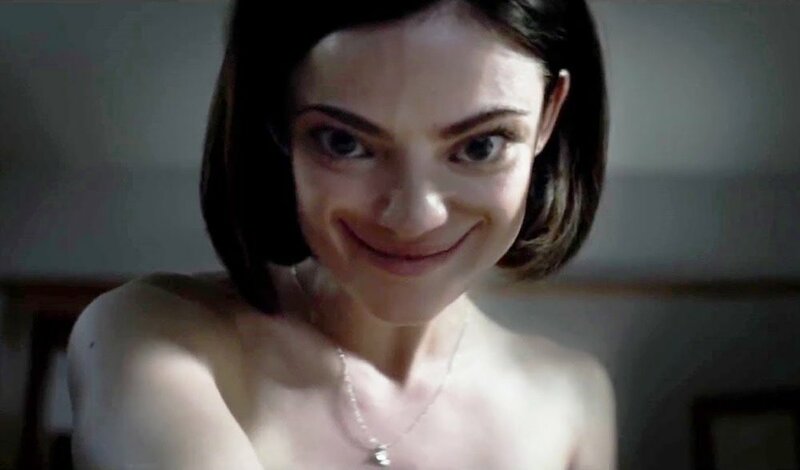 ), so it’s no surprise that there has already been a movie made out of the concept of “Truth or Dare.” Rather than taking a supernatural bent, the British indie thriller Truth or Die presents a Saw-esque torture game that captures a group of young friends in a game of twisted revenge. Also, if you’re into sweater-wearing British cuties, co-star Alexander Vlahos will check all your boxes. Synopsis: A high-flying bachelor goose (Jim Gaffigan) is saddled with two young ducklings (Zendaya, Lance Lim) after he's grounded by an injury. I’m not going to not recommend The Birds, which I find to be incredibly unfairly maligned by the general public. Sure, the idea of birds up and attacking random people is silly on paper, but this is still a Hitchcock movie. Come on! He expertly builds to the horrific nightmare of claws and beaks that is Bodega Bay, setting the film up as a screwball romantic comedy before all hell breaks loose. Synopsis: Five wacky troopers (Jay Chandrasekhar, Paul Soter, Steve Lemme, Erik Stolhanske, Kevin Heffernan) must set up a new highway patrol station as the United States and Canada dispute the location of the border. The fact that there are three movies in the Maniac Cop franchise proves just how resilient the 80’s slasher truly was. While nothing could ever really be better than the original film, they’re all incredibly strange films that are worth a look. Synopsis: An ordinary woman (Amy Schumer) who struggles with feelings of insecurity and inadequacy on a daily basis wakes from a fall believing she is suddenly the most beautiful and capable woman on the planet. With this newfound confidence, she is empowered to live her life fearlessly and flawlessly, but what will happen when she realizes her appearance never changed? Sometimes our eyes play tricks on us, but I’d much rather see myself as a beautiful model than suddenly have the ability to see ghosts after an eye transplant. No thank you! But whether or not you’d want it to happen to you, there’s no denying that it makes for a much better movie. Synopsis: Iron Man (Robert Downey, Jr.), Thor (Chris Hemsworth), Captain America (Chris Evans), and the rest of the Avengers (Mark Ruffalo, Scarlett Johansson, Jeremy Renner, Elizabeth Olsen, Chadwick Boseman, Paul Rudd, Tom Holland) unite with the Guardians of the Galaxy (Chris Pratt, Zoe Saldana, Vin Diesel, Bradley Cooper, Dave Bautista, Pom Klementieff, Karen Gillan) to battle their most powerful enemy yet -- the evil Thanos (Josh Brolin). On a mission to collect all six Infinity Stones, Thanos plans to use the artifacts to inflict his twisted will on reality. The fate of the planet and existence itself has never been more uncertain as everything the Avengers have fought for has led up to this moment. OK, this one is a bit of a cheat, because sadly the movie isn’t publicly available as of yet, but only one horror film has a cast beefy enough to match The Avengers’ impossibly overextended dramatis personae – Death House, about two agents who must fight their way through a prison of horrors after a routine tour goes deadly wrong. Check out all the horror greats who will be making appearances in the film, which was co-written by the late Gunnar Hansen, AKA Leatherface from the original Texas Chain Saw: Larry Zerner (Friday the 13th: Part 3D), R. A. Mihailoff (Leatherface: The Texas Chainsaw Massacre III), Brinke Stevens (The Slumber Party Massacre, Sorority Babes in the Slimeball Bowl-o-Rama), Debbie Rochon (Santa Claws), Camille Keaton (I Spit on Your Grave), Felissa Rose (Sleepaway Camp), Tiffany Shepis (Night of the Demons), Barbara Crampton (Re-Animator), Lloyd Kaufman (creator of Troma), Kane Hodder (Friday the 13th VII – X), Bill Moseley (House of 1000 Corpses, The Texas Chainsaw Massacre 2), Tony Todd (Candyman), Michael Berryman (The Hills Have Eyes), Tony Moran (Halloween), Dee Wallace (The Howling), Sid Haig (The Devil’s Rejects), and Adrienne Barbeau (The Fog). My fingers are cramping up just typing this!